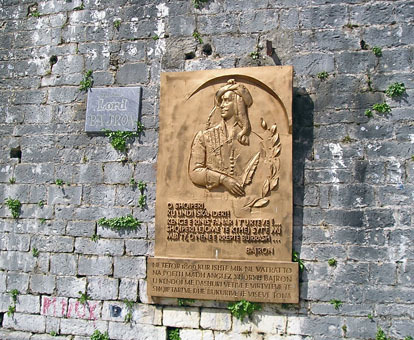 My first full day was spent mostly in Kruja the centre of Albanian resistance to the Ottomans and the site of one of Skanderbeg's greatest victories in 1467. 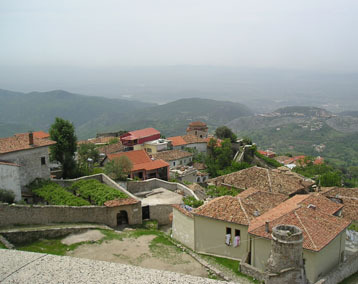 It is about an hour's drive from Tirana and you can get a car up to the old town. 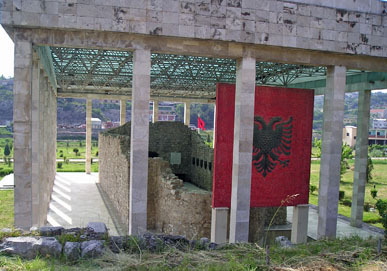 Spend some time in the covered bazaar where you can pick up your souvenirs because it is probably the only place in Albania that really does tourism. 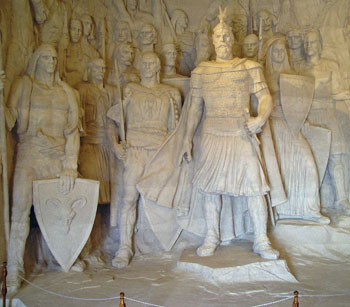 The obligatory Skanderbeg bust, flags, caps and a DVD of the great man's life. 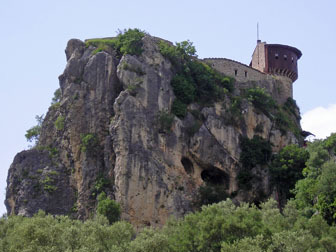 The castle is everything you would expect perched on a rocky outcrop. 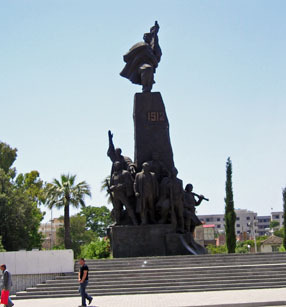 Day 3 started with a walking tour of Tirana. The National Historical Museum is well worth a few hours. 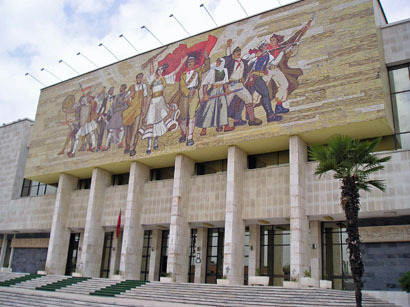 The displays take you through Albanian history chronologically. There are helpful translations on many exhibits and the maps are good. As no photies are allowed a guidebook would have been helpful. A small shop sells some English language publications and some more are available in the bookshop over the road in the Palace of Culture. 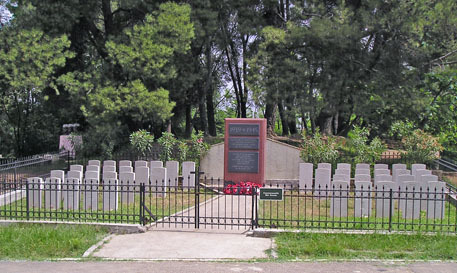 Not surprisingly the museum is strongest on the late 19th and 20th centuries including a particularly good collection of artillery and small arms. 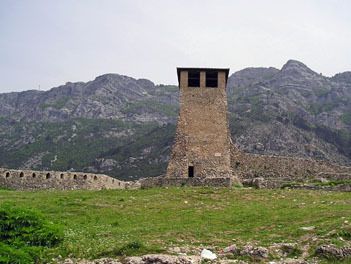 One of the joys of Balkan museums is the historical spin each country adopts. 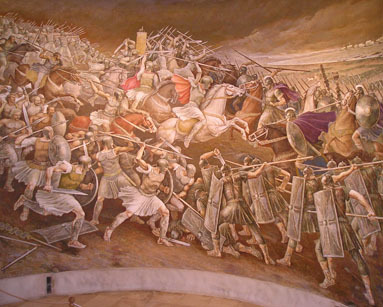 There is a diagram of the Battle of Kosovo 1389 that shows the Albanians on the right flank of the allied army (generally accepted) and another unit in the centre. The Albanian right wing routing the Ottomans, whilst the Serbian's are defeated. 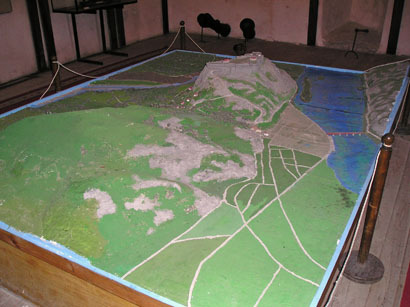 Contrast this with a similar diagram in the Serbian army museum in Belgrade that makes no reference at all to the Albanians! Day 4 involved a long drive south. 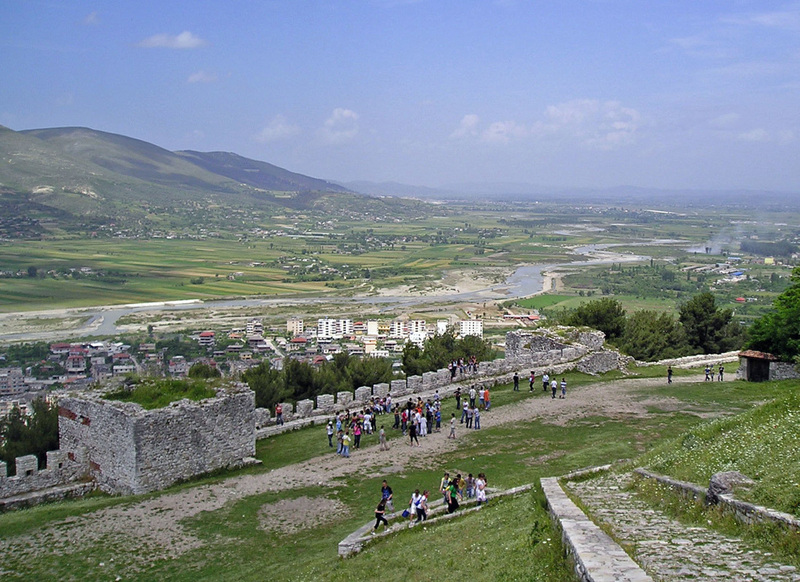 First stop was the fortress of Berat. 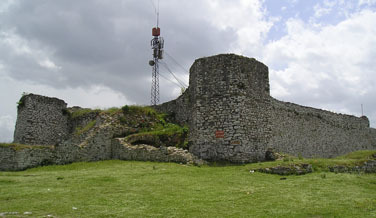 You can drive right up to the gatehouse and then walk the extensive battlements from where the strategic significance of this site is obvious. 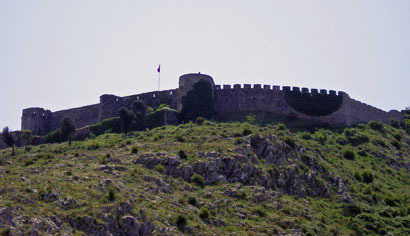 There were several sieges including an important Ottoman victory in 1455. Another long drive over a particularly bad stretch of road to Tepelene. Hard to believe this is the main north-south road although in fairness there are signs further south that the government is doing something about it. 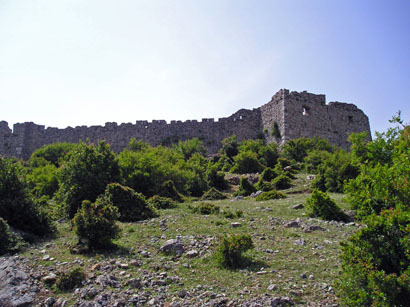 Tepeline is the birthplace of Ali Pasha and has a fort built by him. The walls are in good condition because this used to be a particularly notorious prison for political prisoners in the communist era. 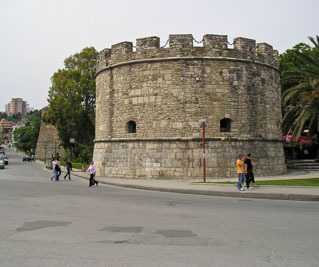 Lord Byron's visit to Ali Pasha is commemorated on the fortress walls. 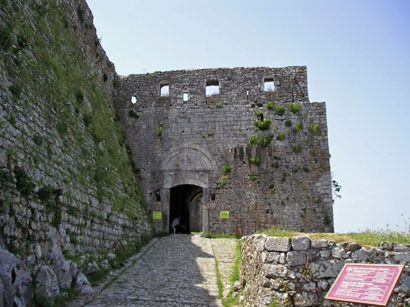 On to Gjirokastra and another superb castle high above the town, again well preserved because it was a prison. Outside next to some smoothbore cannon there is an allegedly shot down US spy plane. 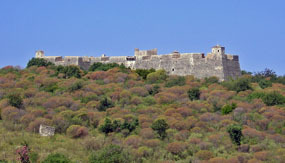 The castle houses what must be the strangest artillery museum I have visited. 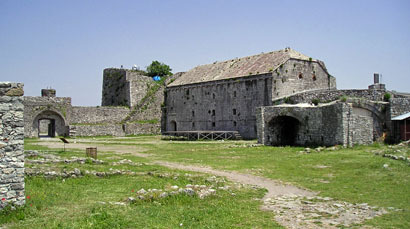 Each exhibit has a bay in an almost pitch black part of the castle with a wide variety of Italian, German and Russian weaponry including an Italian tank. 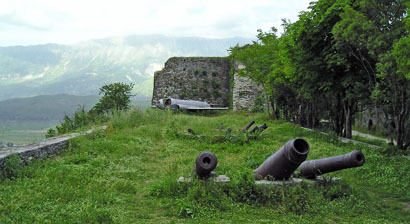 Gjirokastra was fought over during the 1940 Italian Greek war. 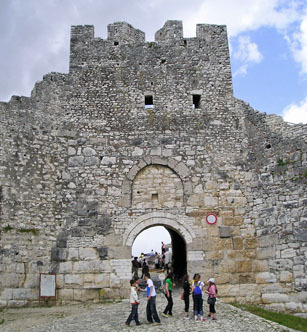 Day 5 started exploring Gjirokastra's interesting old town. I can recommend staying in Hotel Kalemi which is a modernised version of the beautiful 19th century houses in this part of town. Then on to Saranda via the interesting underwater spring called the Blue Eye. 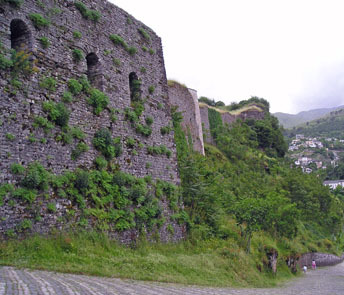 Not a great deal to see in this typical tourist town other than the modest remains of the old town walls. 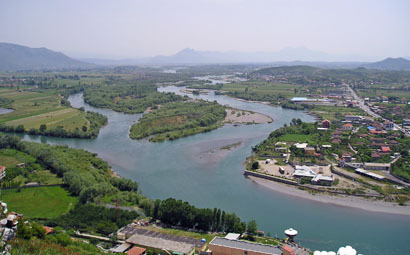 But it is a good base for exploring the coast and if you have dragged your partner this far, this is known as the Albanian Riveria. Nice beaches without the overdevelopment elsewhere in Europe. 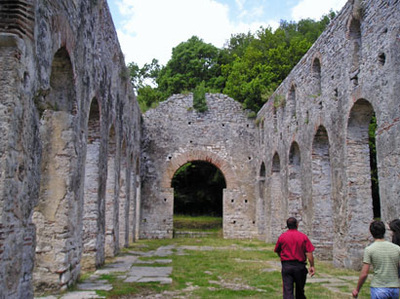 Day 6 was a visit to Butrint. 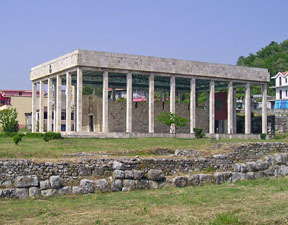 First colonised by the Greeks it became a Roman colony and later expanded by Julius Caesar. It later became a Venetian base and latterly under the control of Ali Pasha who built a fort to protect the channel from the British in Corfu. The site can only be described as superb. 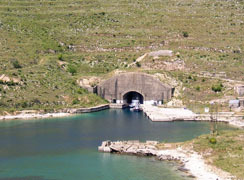 Built on a peninsula, a narrow channel gives access to a bay that was mostly used as a fishery. 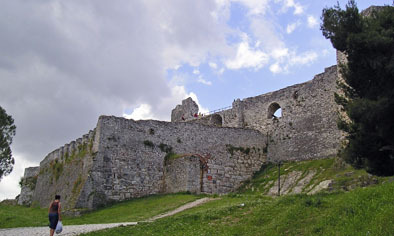 The Venetians strengthened the defences with a tower on one side and a well preserved triangular fort on the other. 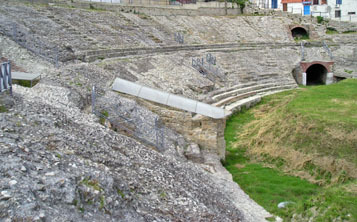 The town itself has well preserved walls and a number of buildings that makes this one of the most important ancient sites in the Med. You can really get the feel of what the town must have been like and the different periods are well described through a series of display boards. 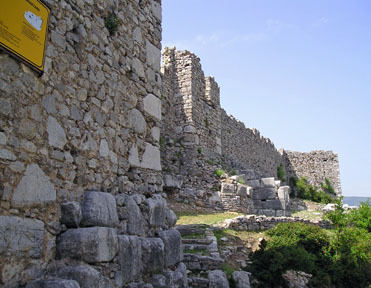 On the way back you can stop and look down on Ali Pasha's square fort. Needs a boat to get across to it. The local insect population started to dive bomb me at this stage so I retreated. 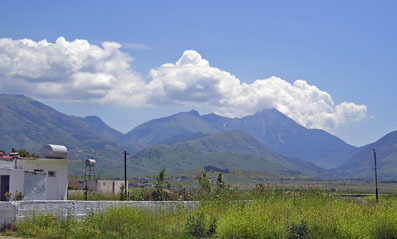 On the last day a long drive up the coast back to Tirana, made worse by a truly awful road as far as the Llogaraja pass. 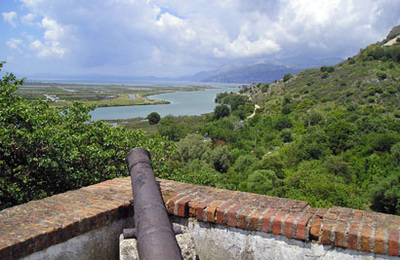 The highlight was Palermos Bay with another square Ali Pasha fort on a promontory into the bay and the former submarine base blasted into the cliffs. Palasa where Julius Caesar landed in 49BC is the start of the Llogaraja pass, over 3000ft high under Mount Athanasius and reached (thankfully) by a new road. I suspect his legionaries not unreasonably wondered why he didn't land the other side of this mountain! 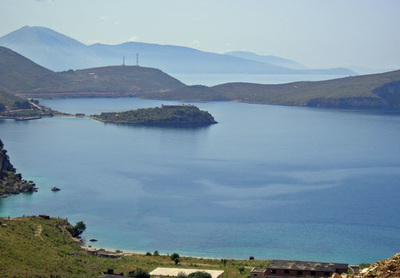 The Greeks advanced right along this coast in 1940 pushing the hapless Italians back to Vlora. Having driven it you gain a new respect for their achievements in that campaign. 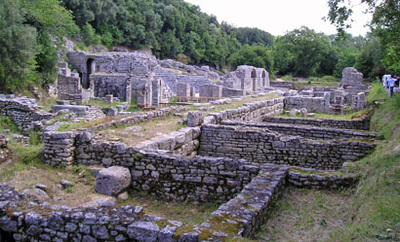 Coming down from the mountains you arrive at ancient Oricum in the bay of Vlora, a Greek colony later used as a base by Caesar in the civil war. Despite the road signs and information board access was barred by a gun toting guard, I presume because of the NATO base. 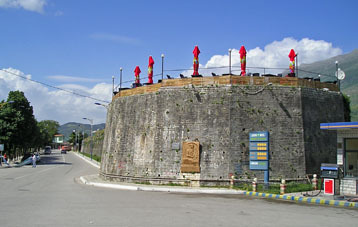 On to Vlora the traditional link port for Italy and indeed occupied by the Italians many times in Albanian history. 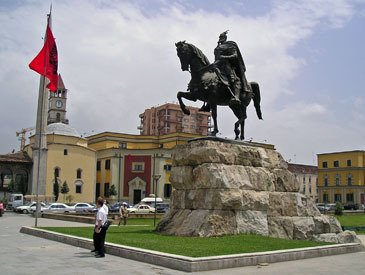 This is where Albanian independence was proclaimed in 1914. 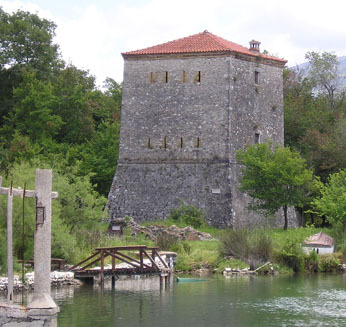 The town boasts three historical museums, but they all close at weekends. 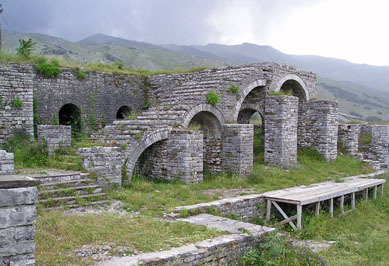 Tourism has some way to go in Albania! 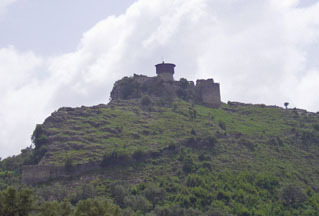 There are also the ruins of Kanine Castle in the foothills south-east of the town. One last drive with a stop off for a final drink at Durres. Gazing out to sea it was tempting to imagine Pompey and the Senate sitting in the same spot trying to guess Caesar's next move. Mine was to the airport and home. A fascinating trip and one, despite the challenges, I would recommend.